Caitlyn Jenner was officially introduced to the world earlier today looking gorgeous on the cover of Vanity Fair, while also making her record breaking Twitter debut. 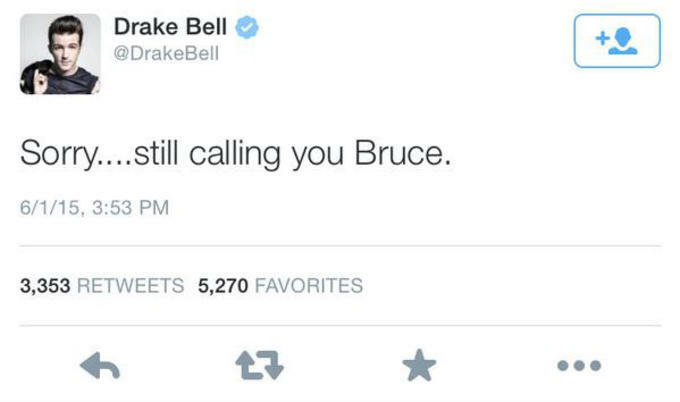 For the most part, Jenner received an outpouring of support and positivity but there was someone—surprisingly not named Donald Trump—who made a stupid comment, that someone being washed Nickelodeon star Drake Bell. In a series of now deleted tweets, Bell sent some transphobic tweets about his refusal to address Caitlyn by her name and gender pronouns. Twitter continued to drag Bell and so he tweeted this and then "Calm down children" before ultimately deleting all of the tweets. 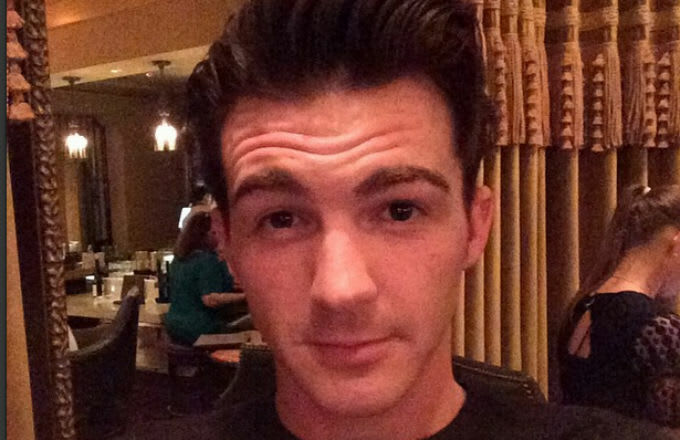 Who&apos;s Drake Bell? Is that a type of trash bag or something? Mike Huckabee Thinks Josh Duggar's Actions Are Not "Unforgiveable"